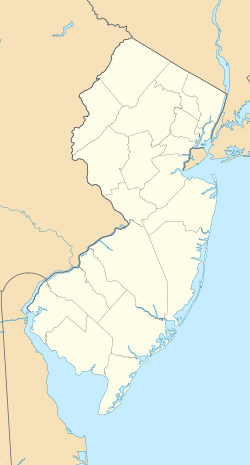 ^ 1.0 1.1 Census data for Atlantic City, United States Census Bureau. Accessed August 8, 2007. 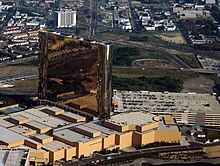 ^ History of Atlantic City. cityofatlanticcity.org. （原始内容存档于2013-07-03） （英语）. ^ Robert Strauss. Judge Nelson Johnson: Atlantic City's Godfather. New Jersey Monthly. 2010-08-16 （英语）. ^ Cunningham, John T. [=https://books.google.com/books?id=rMk1LTo9wYcC&pg=PA241 This is New Jersey], p. 241. Rutgers University Press, 1994. ISBN 9780813521411. Accessed October 15, 2015. ^ Johnson, Nelson. Boardwalk Empire: The Birth, High Times, and Corruption of Atlantic City. Foreword by Terence Winter. Medford, New Jersey: Plexus Publishing, Inc. 2010: 30. ^ Atlantic City Boardwalk: A Stroll On the Wooden Way is Steeped in History. atlanticcitynj.com （英语）. ^ David Schwartz. Storm of the Century. Casino Connection AC （英语）. ^ Taffy Madness. AtlanticCityNJ.com （英语）. ^ Nucky's Empire: The Prohibition Years - Prohibition in a Wide Open Town. Atlantic City Experience （英语）. ^ ENOCH L. JOHNSON, EX-BOSS IN JERSEY - Prohibition-Era Ruler of Atlantic City, 85, Dies. The New York Times. 1968-12-10 （英语）. ^ History of Events at Atlantic City Boardwalk Hall. Boardwalk Hall. （原始内容存档于2014-07-30） （英语）. ^ Atlantic City's Bader beloved for good reason. The Press of Atlantic City. 2010-11-18 （英语）. ^ Wash's Restaurant. Atlantic City Experience. [2017-07-16]. （原始内容存档于2018-08-20） （英语）. ^ 15.0 15.1 15.2 15.3 15.4 15.5 15.6 NowData – NOAA Online Weather Data. National Oceanic and Atmospheric Administration. [2014-05-03] （英语）. ^ Station Name: NJ ATLANTIC CITY. National Oceanic and Atmospheric Administration. [March 30, 2013] （英语）. ^ Station Name: NJ ATLANTIC CITY INTL AP. National Oceanic and Atmospheric Administration. [2014-03-14] （英语）. ^ WMO Climate Normals for ATLANTIC CITY, NJ 1961–1990. National Oceanic and Atmospheric Administration. [2014-03-11] （英语）. ^ New Jersey Resident Population by Municipality: 1930–1990, accessed March 1, 2007. ^ Wm. C. Hunt, Chief Statistician for Population. Fourteenth Census of The United States: 1920; Population: New Jersey; Number of inhabitants, by counties and minor civil divisions (ZIP). U.S. Census Bureau. [2007-03-21]. ^ Cristina Kinon. NY is center of the world for 'Boardwalk Empire'. New York Daily News. 2010-09-08 （英语）. ^ Scott Cronick. Press documentary 'Boss of the Boardwalk' chronicles the life and times of Nucky Johnson. The Press of Atlantic City. 2010-08-20 （英语）. ^ Resorts Atlantic City to adopt 1920s theme in nod to 'Boardwalk Empire'. NJ.com. 2010-10-07 （英语）. ^ Jim Waltzer. The Ritz: Where Nucky Lay His Head. Atlantic City Weekly. 2010-11-10 （英语）. ^ Elaine Rose. Academy Bus Co. launches 'Nucky's Way,' an Atlantic City trolley tour where 'Nucky' Johnson is your guide. The Press of Atlantic City. 2011-06-30 （英语）. ^ Derek Harper. 'Boardwalk Empire' facade unveiled on Atlantic City Boardwalk to hundreds of spectators. The Press of Atlantic City. 2011-08-01 （英语）.